Fresh Ottobono coffee, from Milan in Italy. Available as whole beans, ground or ground de-caffeinated. 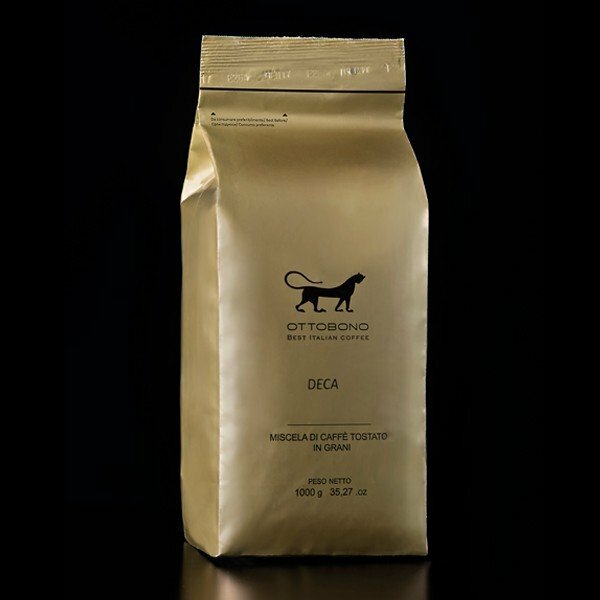 After a long search for a coffee that we ALL liked, we can now offer Fresh Italian coffee beans, ground coffee or ground De-caffeinated coffee from Ottobono in Milan. 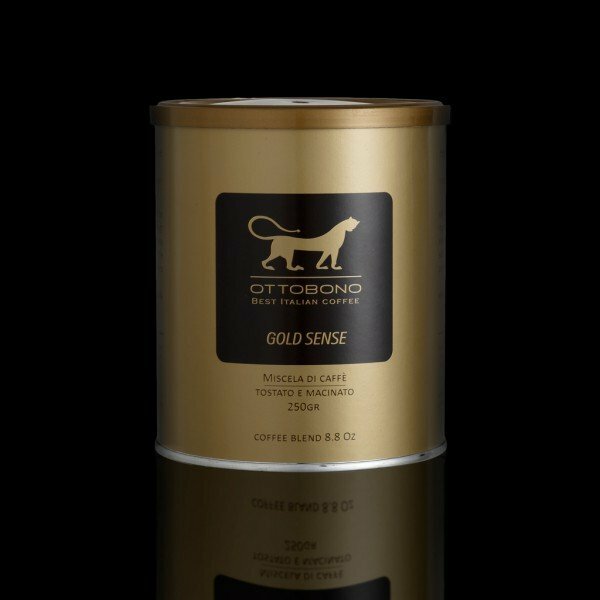 Using the best green coffee beans from the best plantations worldwide, Ottobono have developed this harmonious ‘Gold Sense’ blend that expertly combines an intense, full-bodied flavour with a velvety sensation on the palate, free from residual acidity. Upon tasting, the first sensation experienced is ‘the persistent, dense creamy consistency. 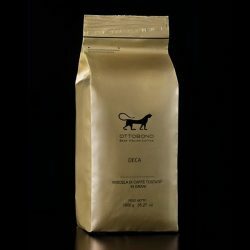 Then, the full-bodied flavour of the different qualities of beans spreads over the palate like a concert of harmonies, generating an intense, well-rounded flavour that evokes genuine sensations, recognisable to true coffee experts. The pleasant, appeasing sensation persists in the mouth for some time, leaving a delicate, recognisable trace’. 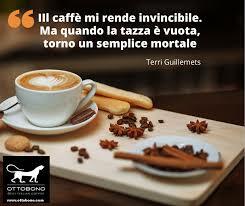 The coffee beans are chemical free, harvested at the right moment and must undergo visual, olfactory and taste analysis. 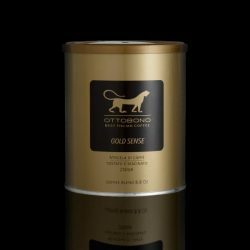 Quality is the focal point for Ottobono, which is why their blends are made only with the best beans. Roasted with an old Petroncini machine of the early 50s, which has a thermal stabilizer to keep the temperature to the same level, the beans are then left to rest in a controlled environment to develop aroma and creaminess. The beans are packaged fast to avoid aroma and scent alterations. The packaging has been designed to keep the product ventilated and prevent it from coming into contact with fermented gases. By doing so Ottobono coffee will preserve its aroma for a long time.